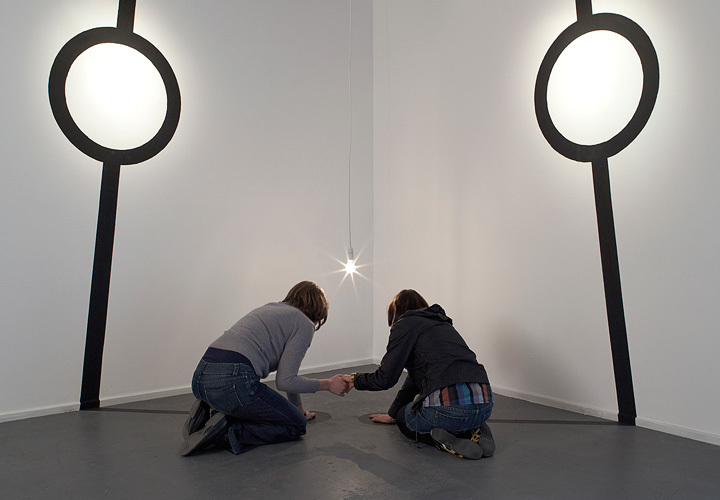 Interactive installation, graphite, electronics, light globe. 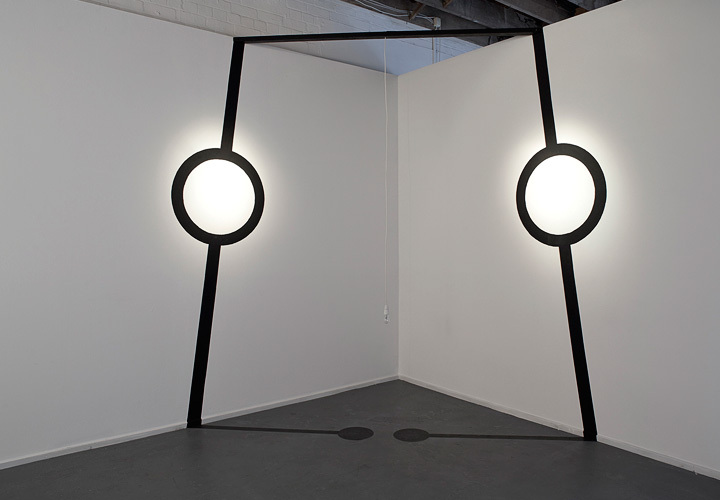 The viewer completes the circuit consisting of a drawn graphite line which encompasses four zones of the gallery. 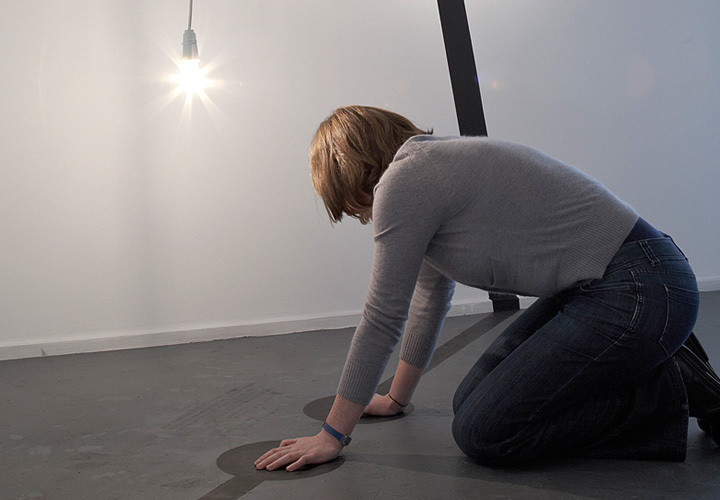 Low voltage electricity passes through the drawing on the walls and floor of the gallery, up into the hands of the viewer and through their heart. Once the circuit is complete, a light globe switches on above the viewers head to illuminate a poem by e.e. cummings entitled “i carry your heart”. 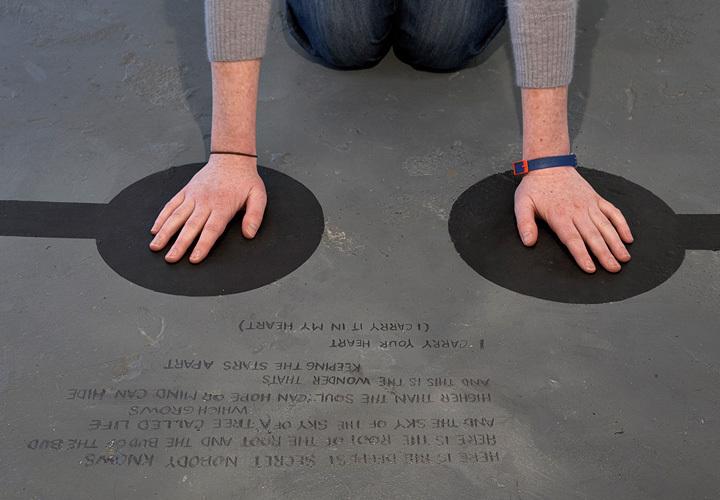 This poem, written in graphite, is almost invisible on the grey floor until the light switches on and reflects off of the metallic lettering. 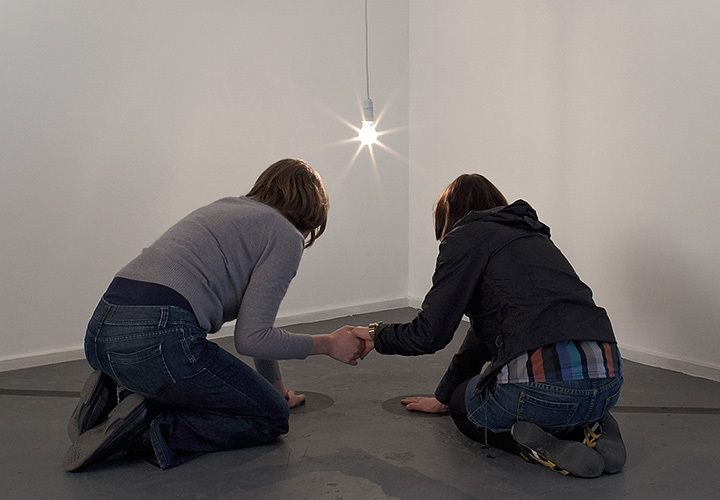 For a few seconds, the viewer, the artist, the gallery, and previous viewers all become interconnected.